A clown...and a man in a funny suit and facepaint juggling bowling pins. Richard Dawkins doesn’t love me. In fact if we were ever to meet and discuss the merits of theism and atheism in private, a conversation for which, despite selling millions of copies of his ostensibly philosophical polemic ‘The God Delusion’, he would be woefully ill-equipped for, I am quite sure he would not love me one bit. Not even if the typical moral relativist’s oft-wished-for scenario of an Earthly utopia populated by sexually liberated polygamous bisexual organic farmers were to unfold; Dawkins still wouldn’t love me one bit. Despite this, I was the recipient this past Tuesday, as I drove down a beautiful rural road on my way to work, of a wonderful St Valentine’s Day gift from Oxford’s foremost expert on wasps: a belly laugh so deep it was almost a coccyx laugh. He was a guest on ‘Today’ on Radio 4 (listen here: http://news.bbc.co.uk/today/hi/today/newsid_9696000/9696135.stm) in order to publicise some research carried out by his foundation which in his, to put it mildly, skewed, opinion calls into question the veracity of the claim that Britain is a Christian country. The method of the study had been to ask self identified Christians questions on various aspects of Christianity and from the results indicating, for example, that 60% of his sample do not read the Bible, he drew the conclusion that people who say they are Christian shouldn’t be taken seriously and that the results “pull the rug” from underneath anyone who claims Britain is a Christian country. Now, Dawkins can have no real warrant for this claim unless he first of all considers what it means to be a Christian country. He seemingly takes it for granted that the philosophical outlook of a country is determined purely by the extent of knowledge, on all aspects of a particular outlook, possessed by those natives who claim to live within the prescribed philosophy of the outlook. I wonder how many factory workers in Russia in 1935 were fluent in the detail of GOSPLAN (Stalin’s state planning organisation) strategy or could have told you on the spot that ‘Position of the Communists in Relation to the Various Opposition Parties’ is the title of the last chapter of Marx’s ‘The Communist Manifesto’? If the numbers were low would Dawkins disagree that Russia was a Communist country in 1935? The truth is that Britain’s culture and public institutions have been so shaped by the influence of Christian beliefs that to say that it is not a Christian country is as ridiculous as saying that Stalinist Russia was run by the Moonies. Fraser: You’re the High Pope of Darwinism! The actual title (courtesy of a quick web search) is ‘On the Origin of Species by Means of Natural Selection, or the Preservation of Favoured Races in the Struggle for Life’ and for what it’s worth I would probably have answerred only slightly more incorrectly than Dawkins. The point to take away is that whilst Dawkins’s inability to provide the full title of the book which forms the bedrock upon which his life’s work is built is hilarious, it doesn’t change the fact that he is a Darwinist. He is one of the foremost Darwinists in the world. He is also a zealot, a coward and, on the evidence of this interview, too proud and incapable a debater to change strategy or graciously concede any ground whatsoever during a debate, even when a person of severely limited capacity for observation (ie a dumbass) could tell that he’s being spanked. The Reverend Giles Fraser, former Canon Chancellor of St Paul’s Cathedral, handled Dawkins admirably although it was far from the rhetorical evisceration which Dawkins was vulnerable to. As the Reverend alluded to during the interview, it would of course be better from a Christian point of view for people who identify as Christian to have a fuller understanding of their faith than was found to be present in the sample population of the (flawed) study. I find it deeply frustrating to compare the comprehensive catechetical education my parents received to the comparatively uncertain and diluted religious education I received myself and wouldn’t be that suprised to find that Dawkins’s study was accurate regarding the level of knowledge among Christians. Dawkins has inadvertently shone a light on this genuinely important topic but, as is his wont, he makes outrageous claims regarding the deleterious effect of the data on religious belief and (even more so) the relevance of Christianity to the uncertain but not quite amorphous notion of British morality. Let’s hope that the increasingly invidious actions of this obnoxious buffoon inspires self identifying Christians everywhere to shore up their knowledge of the faith. With half of season six already shown, it’s time for a half-time appraisal of what might be the most surprising run of episodes yet concerning the darkly dreaming, dearly devoted dark defender. 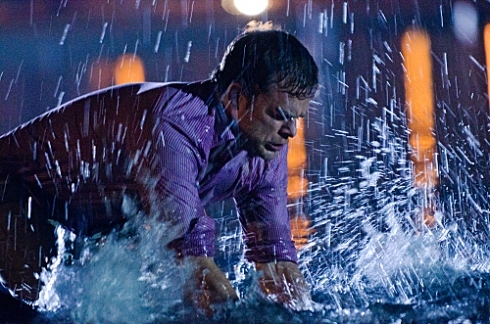 Each of the previous five seasons had an overarching theme, from the plainly apparent struggle between Dexter’s desire for friendship versus his desire for isolation which defined season three; to the more subtle commentary on the differences between the philosophy of ruthless, selfish individualism, as demonstrated by Jordan Chase, and the inclination to live for others, demonstrated by Dexter when he chose to take-up Lumen’s problems as his own. These themes unfolded throughout each series without feeling unnaturally forced. They have unfolded in concert with rather than in opposition to the plotlines within the show. Indeed, Dexter is one of very few worthwhile TV shows in which each episode contains sufficient drama and intrigue to stand on its own without requiring that the viewer is invested in a larger narrative. When the first promotional images for season six began to circulate and it became clear that religion would be a major theme, I consciously lowered my expectations. Dexter, I thought, was about to fall flat. Despite the thematic balance of previous seasons, it was difficult to believe that such a popular show could tackle religion without blundering towards one of two extremities: a populist, tacky and disrespectful representation of religion and religious people with eye rolling plotlines to match; or a milquetoast treatment wherein the big questions remained as untouched as Vince Masouka’s styling wax. Each would have been disappointing. No strings on me: Can Dexter become a real boy? We are halfway through the season and I am happy to report that I have been completely blindsided by how well the religious themes have been handled. Although initially it seemed that religion and morality would be incongruous themes within the Dexter universe, they in fact represent a perfectly organic development of all that has gone before. For all its macabre humour, attractive cubano atmosphere and dramatic plotlines the show has always been, at its dark, grisly heart, an exploration of morality. Our hero is a good guy who works with other good people but he kills and cuts up bad people and is, in a certain light, undoubtedly very bad himself. The show has maintained its audience’s interest partly because it asks us at every plunge of Dexter’s knife what ‘good’ and ‘bad’ actually mean. Another connection between religion and what has gone before was implied in a perfect Harry moment in episode four, when, as Dexter mused pensively upon the likelihood of God, he was reminded that he already speaks to an imaginary father figure. The implication of course being that whether God is real or not, Dexter has no grounds for rejecting him based on some mistaken premise of his own independence and rationality. A large part of why Dexter works as a sympathetic character, why the audience relates to a man who commits the most abhorrent of acts for pleasure, is that Jeff Lindsay and the writers of the show have created for Dexter a number of excuses for his behaviour: he was raised to be the way he is, not by just anyone but by the beacon in blue, supercop Harry Morgan; he witnessed the brutal murder of his mother when he was an impressionable toddler; he’s socially and emotionally inept, able to pass for a regular guy only through extreme effort; he kills bad guys. All of these excuses serve to distance the character from his actions. They are his strings. In the show’s most gruesome moments, when Dopey, Dysfunctional Dexter transforms into Diabolical Dexter the audience entertains the conceit that he is suspended by these strings as a puppet of outside influences: unimpeachable and pure as the blood-soaked baby boy he once was. I could have sworn that MOS DEF was one of the selection of phrases which pop up on my television according to which part of my anatomy accidentally bumps the remote control, but it turns out it’s also the name of a rapper-turned-actor who portrays the most pivotal character in the season thus far: Brother Sam, a reformed killer who takes Christianity to the amoral gangs of Miami and is eventually betrayed and murdered by his favourite convert. Sure, the bad guys are interesting but they’re easily dismissed as kooks. It has been Brother Sam who has provided the impetus for Dexter to ask spiritually searching questions and make moral decisions. Dexter faced the biggest of these decisions at the ‘fork in the road’ which arrived at the end of episode six. As he stood knee deep in the surf with Sam’s killer, who had been baptised by Sam in the same waters, he had the choice of forgiving him as per Sam’s dying wish, or exacting retribution by his usual means. It proved to be too much to ask of Dexter’s incipient conscience. The resolution reminded me of St Thomas Moore’s famous quote that “the Devil, the proud spirit, cannot endure to be mocked”, as it was the perverse, self-satisfied mockery in the chuckling of Sam’s killer which enraged the monster in Dexter and led him to throttle the Judas-figure to death. "When you gave me this shirt you said it was mauve but everyone says it's pink! RAAAAH!" The spiritual subtext of the scene was strengthened as Dexter emerged from the waters and was greeted from the shore by a supremely appropriate symbol of malevolence and temptation: a vision of his dead brother Brian. Dexter is sinking further into the dark. 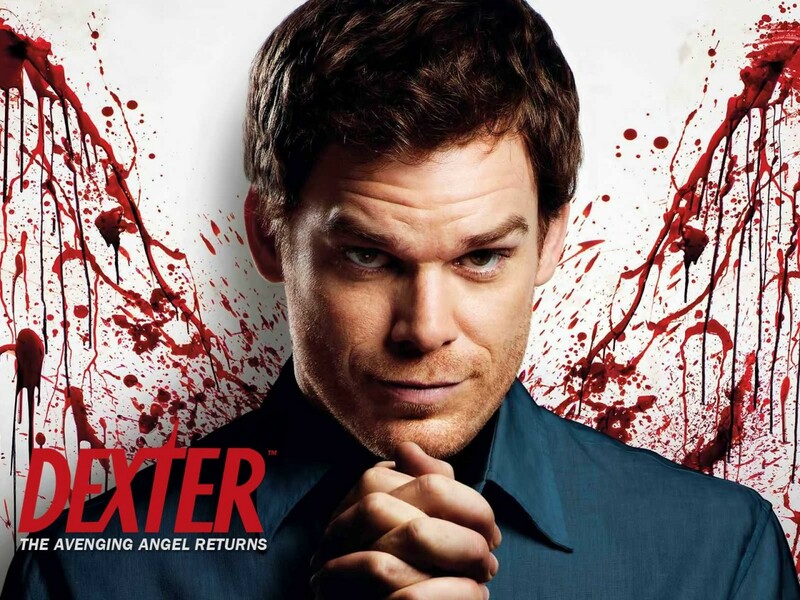 Expect Dexter to embrace the darkness fully and become an unrestrained monster, or cut his strings and finally accept the moral weight of his actions. I doubted season six could carry the weight of my expectations. Dear reader, I am now a believer.